Some of the major living expenses for Americans these days are home and auto insurance. Policies are pricey, but you can keep costs down by qualifying for discounts. Give a licensed agent a call and ask whether you are eligible for savings opportunities. Home-auto. Bundling your home and auto insurance by purchasing both policies from the same provider is one of the best ways to save money on your insurance. The price reduction on your premiums can be immense. Safety features. Keeping your home and family safe is also cost-effective. If your house is equipped with smoke and fire detectors, deadbolts or an alarm system, you might qualify for a discount. Claims free. Insurance providers are eager to partner with customers who are unlikely to experience a mishap and file a claim. If you have gone claims-free for some time, you’re deemed less likely to file a claim in the future. Your claims-free history makes you good business, so you might be able to snag a discount. Nonsmoker. Nonsmokers are less likely to set a house fire. Make sure you ask for a nonsmoker discount if you live smoke-free. 55 or older and retired. Many seniors are bound to a fixed income, so they can save some money with a special discount for homeowners who are 55 or older and retired. Multi-car. Just like the home-auto discount, increasing your business with a particular auto insurance carrier can boost your value. Insure multiple household vehicles with one provider and you can achieve significant savings. Good student. Insurance can be mighty expensive for young drivers. Luckily, there are discounts specifically geared toward households with teen motorists. If your teenager is maintaining a good GPA, you might qualify for a discount. Defensive driving. Insurance companies benefit from doing business with clients who stay out of accidents. It’s for this reason that providers sometimes offer discounts to customers who take accredited defensive driving courses. Depending on your carrier, this savings opportunity is available for teen and adult drivers. Payment and document options. How you manage your account and payments can also save you some money on your insurance. Some providers offer discounts for signing your documents online or paying your premium in full. Safety features. One of the perks of certain discounts is that you don’t have to do anything to qualify. If your car has airbags and an alarm system, you might already be eligible for discounts. Electric vehicle. A downside of owning an eco-friendly car is that they’re expensive. Small models can cost upwards of $50,000. The good news is that some providers are starting to offer savings to EV owners. Discounts can save you a lot of money and they’re easy to come by. One warning: Discounts vary greatly according to which provider you use and what state you live in. Call an agent today to see if you qualify for savings. I’m not really big on insurance. I guess I’ve lived a pretty sheltered life with my dad’s moeny but its time to enter the real world. My resolution revolves around saving and making more money. This is definitely a good way to start. Thank you for sharing it with us. Thanks for posting auto insurance tips. When purchasing an Auto insurance, it is also important that you go for a company that has built good reputation. Discounts are really appealing. Thorough evaluation and Choosing a good insurance provider could also help you save money. Generally your home insurance will provide you with coverage for the contents of your home as well as for the structure itself. Normally if your home is destroyed everything inside it will be destroyed as well so having this coverage is another huge advantage of home insurance. In addition your home insurance policy will generally cover the items in your home in the event of theft, another huge benefit. Effective tips to cut costs at home . With so many insurance providers and deals in the market decision making is quiet tedious. I have gained lot of insight to save money on insurance now . Thanks . Both home and auto insurance is really important for a person who works for his daily living. As much as we can save money we will do that for our future’s sake. There are a lot of insurance companies but few can guarantee and satisfy your needs. Just to know, do not subscribe a car insurance with GEICO. I’m cancelling the policy because I’m very dissatisfied about the Geico’s commercial way of selling insurance. First I checked on Internet the price. It was around 70 with all the maximum coverage, and it was good for me, I started the registration and I got stuck getting a message which told me to call them via phone. Then I called and I spent one hour at the phone discovering that the price was doubled and the coverage halved. I asked the guy why, and he told me that was because GEICO didn’t have my insurance history. The guy told me to ask my italian insurance company to release an insurance history showing the last 5 years. So I did it and I sent them the documentation. It’s very strange that after all that time and resources spent to get the insurance history, translate it in english and send it to GEICO as requested, all this working has given NO RESULT. Is this the GEICO way to “scam” people with low prices on Internet and then doubling prices because of something? You know, there is always some reason for increasing the premium magically. If you are insuring a student the good student discount is awesome motivates them to get better grades lowers insurance win win situation. Great points you’ve informed for consideration!! I’ll definitely try follow these points to lower down pricey home and auto insurance policy. Thanks a lot for convincing me through effective ways. Purchasing all your Policy from one Insurance policy is one good way to saving money. 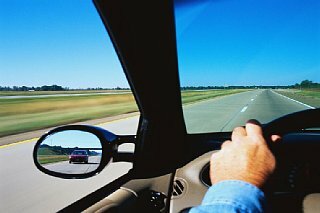 As a driver if you have a good driving record you will as well get good discount and save money. You have an amazing list of ways to say on home and auto insurance. i love the idea of insuring multiple autos with one provider. One of the easiest and fastest ways to reduce your insurance expense is to bundle your policy. I have never figure out why there are many people which have a car policy, a home policy, and other policies with different companies..? Then wonder why their insurance is so high? Greg recently posted..Can You Really Find Cheap Car Insurance With A DUI? Good tips to know about on “How to Save Big Bucks on Your Home and Auto Insurance”. Really informative and useful to me. One good tips i always consider purchasing all your insurance from one provider and not moving from one insurance company to another as this will cost more money, but with one company you can save alot. Johnson recently posted..Family Income Benefit Insurance: How to make the most of it? When purchasing an Auto insurance, it is also important that you go for a company that has built good reputation. Discounts are really appealing. Thorough evaluation and Choosing a good insurance provider could also help you save money. Great tips! I agree with above comments that bundling your insurance can save you quite a bit. Providers will reward you with savings when you carry multiple policies with them. Auto insurance and discounts play an important part in the decision of a car buyer for it is where we get an assurance that we invested our money to the right product. Insurance means more than the car itself. Great tips! I think the biggest thing you can do to lower your rates is just asking. If you ask about/for discounts, you’re bound to get some. You’re most likely qualified for some sort of discount you don’t know about! Thanks for sharing. Airbags and an alarm system are definitely good ways to increase discounts. Most of the insurers are getting heavy to give discounts on electric cars too. This is a great way to show environmental responsibility both by the insurers – encouraging it – and car owners. These points are awesome to know man. Well, I really didn’t know about all these discounts. Actually I am maintaining a good GPA so I should take the advantage of it. Shopping around is definitely the best way to get a good price on insurance. Make sure you include smaller local agents as you price. Frequently these agencies can provide better, more tailored insurance for a lower price. They know your neighborhood and what you do and do not need for your area. Really helpful post on finiding ways to save on insurance for home and auto. It makes a difference to gather quotes and ask questions, many of them, to ensure that you are aware of what each providor and plan actually covers/offers. I liked what you said about Give a licensed agent a call and ask whether you are eligible for savings opportunities. The information provided in the article was accurate and on point, all you have to do is take action with the info and you will definitely see a positive outcome. Thank you for the post. Awesome job. Auto Insurance Omaha recently posted..Why Would I Need Return To Invoice Gap Insurance? The tips you gave can be often neglect by a normal driver without knowing that it can save a lot of the insurance cost. I admit, I’m one of those drivers. Thanks for opening my eyes to these saving tips. It can really help us a lot and even change our lives. Very good tips on saving on insurance. It seems like they keep going up and up. But bundling is a great idea. I also agree with the other comments in that price should not be your primary consideration when selecting an insurance company. Inexpensive insurance is great until you need it, then your inexpensive insurance may prove to be valueless. And when it comes to homeowners insurance, don’t forget to consider your garage and garage door. The more you can prove that your property is safe, the better rates you should get. bundling definitely is a good idea to find the right company is a problem got a be careful you go away because a lot of people try to screw you over the duo seems sweet and beginning and then change is something totally different. Very good advice on how to save money, which is something that we’d all like to do. Insurance can be somewhat of a headache these days. Great article you made here on saving money on auto and home insurance, but can you really get a discount for being a non-smoker or having a smoke alarm? I think one of the biggest mistakes people make when shopping for insurance is that they don’t shop around or simply ask what deals and discounts are available. You point out a lot of the easiest ways to save money on your premiums, and a lot of them are probably things most people already qualify for. Insurance companies will give you the discounts and deals if you are aware of them and ask for them, so do your research and save more money! Great time-tested tips. May I add that you can also save yourself a lot on auto insurance by taking steps that help you reduce your mileage: Carpooling, walking to nearby distances (also helps you stay healthy) and using the mass transit whenever it makes sense. Also make sure you pay by EFT instead of going the old-school way of mailing your checks and you will position yourself for every cheaper rates. These are great discounts and features for auto insurance. Bundling multiple policies with an insurance agency will save you a lot. Great points of saving on insurance. The home and auto insurance discount is such good deal and can give you the biggest discount. Thanks for sharing. Those are some really excellent tips Chris. I’m sure if people knew about even some of these, they would end up saving a decent amount on their home and auto insurance! This article definitely makes for a handy checklist to go through as you start shopping for insurance — I wish I would’ve known about being able to qualify for the safety features; it would’ve saved me a bundle on my current plan. A very informative post on how to save money on insurance. we can either combine all or get insured from same insurer. Thanks for this post explaining deep pints about saving money dollars on Insurance of our Vehicle or Home. All these Discount getting options are necessary for us to follow, because we all want to save as much bucks as we can. So, thanks a lot again. Cheers. There are a lot of discounts here that I didn’t even realize existed!!! Like for home discounts, the very fact that you don’t smoke can qualify you for a discount? Even with car discounts, if your car is safe, it could mean discounts just because it has airbags or special safety features. Thanks for the article!